Tejano (pronounced “Teharno”) is a talented horse whose main objective is to get from A to B as quickly as possible! PRE gelding. 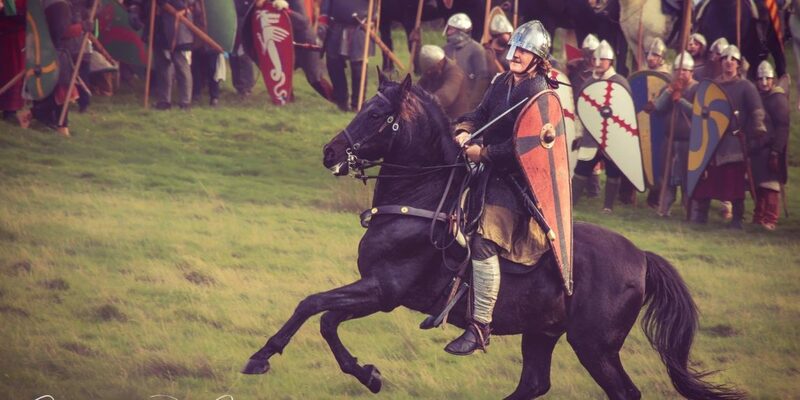 Tejano has been to the Battle of Hastings on several occasions and has been subject of many spectacular photographs, as he charges solo across the field towards the line of warriors before his rider is dragged off and killed. He is easy to handle on the ground and so makes a great horse to use for this purpose, with non-equine reenactors dragging riders off!